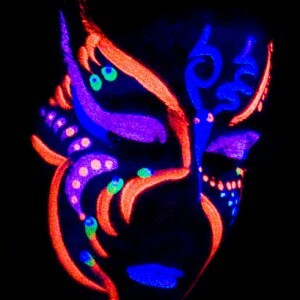 UV Face Painters for your event! The Glow Company Malta is now pleased to offer the availability of our experienced UV Paint Artists. Able to attend any event on land or sea! Our UV creatives will provide striking UV designs for your guests or partygoers offering an Ad Hoc creation that would please Picaso himself! All materials provided and on an hourly basis, give us a call to confirm your event and further details!